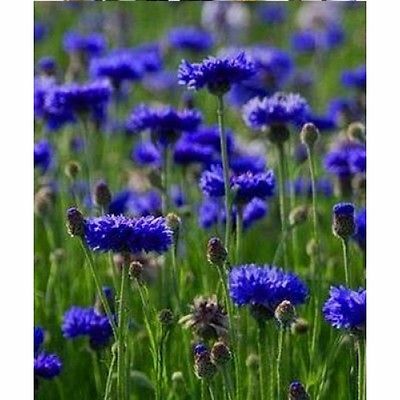 Bachelor Button - Blue Boy Bachelor's Buttons produce an abundant supply of 2-inch double, fringed, thistle-like blooms in late spring and early summer. In mild summer areas they will continue to flower until September if the old flowers are removed. Sow in fall in mild winter areas or early spring everywhere.